Glasses from Clic are specifically prepared for those people that suffer from the most common visual problem: Presbyopia. This issue affects the 90% of people older than 45 years. Clic glasses are the best option for this problem since its design allows to wear them easily. 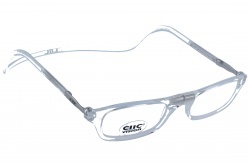 These glasses are made from polycarbonate and their temples are adjustable. Its main feature is its central magnetic connection, allowing to wear them around the neck. 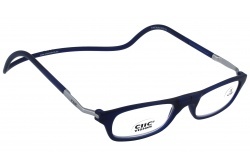 Curiously, the main idea was created by the NASA. Their designs are the result of tradition and innovation at the same time. 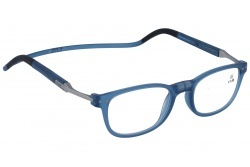 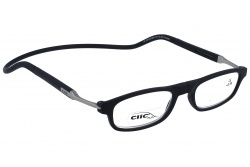 The brand creates frames with classic designs to adapt to a wide range of public. Also, they offer innovative technology in their frames. 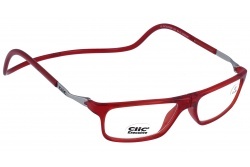 In Optical H you will find a wide variety of Clic glasses at incredible prices. Get in our webpage and look for the best model for you. We have a professional team that will be pleased to help you during the purchase process.